We continue our cooperation with Timișoara, European Capital of Culture through the concept of ‘Art Dialogues’ which are organised within the ‘Danube Dialogues’ Festival of Contemporary Art of the Danube Countries. 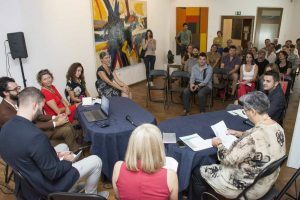 Firstly, the round table on the topic ‘Timișoara – Novi Sad: current artistic and cultural scene and perspective of cooperation on the road to the European Capital of Culture 2021’ was held on Wednesday, 29 August. Participants of the round table were cultural workers from Novi Sad: Tijana Palkovljević, Director of the Gallery of Matica Srpska, Sanja Mladenov, curator of the Museum of Contemporary Art of Vojvodina, Vesna Latinović, Director of the Danube Dialogues Festival, Maja Erdeljanin, artist and manager of the Small Art Gallery of the CCNS, Vuk Radulović, Head of the Department for Developmental Projects of the ‘Novi Sad 2021’ Foundation and guests from Timișoara: Sorina Jecza, co-founder of the ‘Art Encounters’ Contemporary Art Biennale and President of the ‘Triade’ Foundation’, Bogdan Cotîrtă, Production Manager of the ‘Timișoara 2021’ Foundation, Andrei Jecza, Editor of the ‘Jecza’ Gallery from Timișoara and Anouk Lederle, Cultural and Communication Manager within the Ministry of Culture of France. 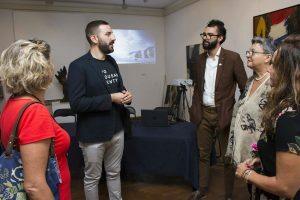 Questions posed during this meeting were related to current artistic cooperation between two cities, current projects, exchange of experience related to challenges on individual artistic scenes, as well as possibilities for further cooperation between Novi Sad and Timișoara. The ‘Art Dialogue: Timișoara – Novi Sad’ exhibition was opened in the evening by authors: Aura Bălănescu/Stevan Kojić; Nicolae Velciov/Miloš Vujanović; Liliana Mercioiu/Rastislav Škulec, with curators: Maria Orosan-Telea (Timișoara) and Sava Stepanov (Novi Sad). Specificity of the ‘Danube Dialogues’ is the series of exhibitions in which works from one local artist and artist from the chosen city from the Danube region are being presented in a form of a ‘dialogue’. Dialogues with artists from Hungary, Austria and Slovakia have been opened so far. 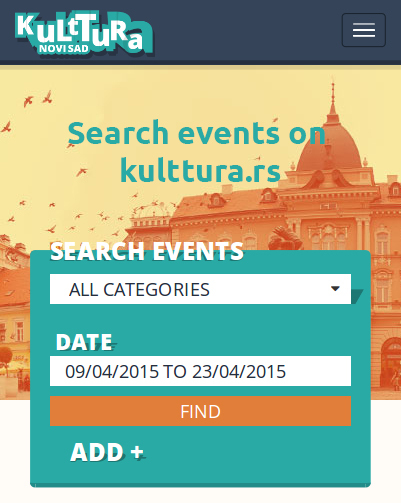 Festival of Contemporary Art of the Danube Countries is an international multimedia mosaic festival which happens in the gallery and alternative places in Novi Sad, Petrovaradin and Apatin at the same time. 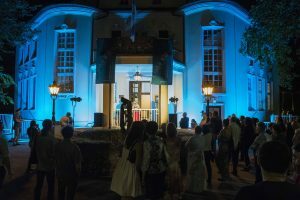 It was initiated by the ‘Bel Art’ Gallery in 2013 in order to develop platforms for presentation and overview of current trends in contemporary visual art, improving cultural cooperation and exchange in the Danube region.